Corporate day of paintballing action with Delta Force Paintball. 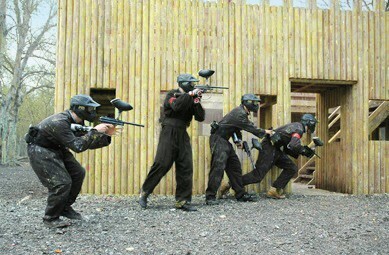 and midfielder Michael Ballack credited their 4-0 victory over West Ham to the team-building day of paintball. corporate groups of all shapes and sizes. British Telecommunications, Kiss 100 FM, British Sky Broadcasting and many more.